A list of must-see events happening around the country. For three years now, I've compiled a round-up of Black History Month events. And each time it's gone up on CBC Arts, these are the sort of comments that inevitably appear: "Who cares?" "When is white history month?" I sigh every time I see comments like those, and a weariness falls over me. I've been hearing these lines since I was a teenager. In high school, I even heard them from a teacher. He claimed he was playing "devil's advocate" when he told me I was wasting my energy trying to organize the school's first Black History Month assembly. My answer to him? "There is no white history month because every month is white history month." These days, my need to recognize Black History Month has evolved and become more nuanced. 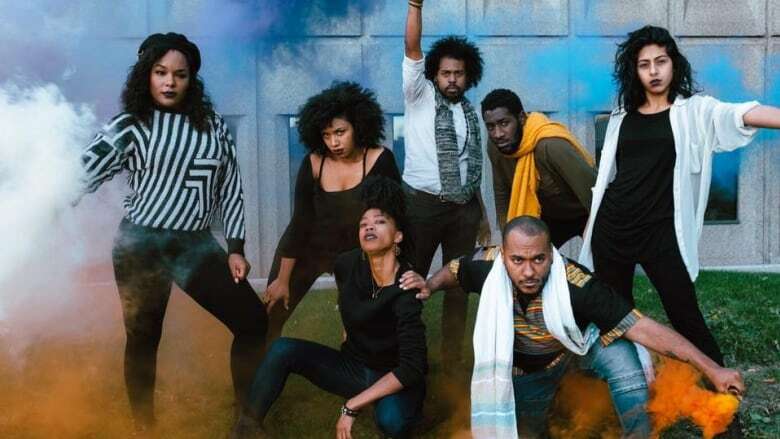 But at a time when hate crimes have reached an all-time high in Canada and politicians deny the realities of systemic racism, it feels more urgent than ever to make space for creative, incisive and critical reflections on what it means to be Black in Canada. Even though it occurs during the shortest and coldest month of the year, Black History Month is frequently an opportunity to do just that. I will always keep publishing this guide. It's for the teenager out there who is forced to prove why an affirmation and recognition of their history and identity is important. This list is evidence that they are not alone and there are people across the country mobilizing with the same priorities. This play by Shauntay Grant is about the complicated relationship between two brothers in a rural Black Nova Scotian community. A celebration of the history and accomplishments of African Canadians with dinner and performances. Presented by the Africa Festival of Arts and Culture Society. Music, stories and dance combine for this deep dive into the ancient traditions of the Malinke griot tradition. The Halifax Jazz Festival presents this series of events featuring drumming workshops by Dr. Henry Bishop and musical performances by Chudi Harris and Jah'Mila. Open to all ages. This gospel choir has been performing for 27 years and will provide an evening of music inspired by their mission of promoting racial harmony and peace. Presented by The African Nova Scotian Music Association, this annual event celebrates Black Nova Scotian musical talent. Conductor Daniel Bartholomew-Poyser and the Nova Scotia Youth Orchestra showcase a journey through the history of Black music. Featuring numbers by Duke Ellington, Miles Davis, Chevalier St. Georges, Jimi Hendrix and more. Critically acclaimed writer Cecil Foster will read excerpts from new book, They Call Me George: The Untold Story of Black Train Porters and the Birth of Modern Canada. The show's tagline is: "jazz meets opera in the boxing ring." Champion tells the story of a welterweight fighter on his way to acclaim — until he accidentally kills his opponent in the ring. It's composed by Grammy-winning jazz musician Terence Blanchard. This theatrical production reimagines the historic protest against racism at Concordia University. The 1969 incident resulted in a suspicious fire and more than 100 arrests. This first annual event will feature panellists from Montreal's hip-hop scene. Yella, of the legendary group N.W.A., is the guest of honour. 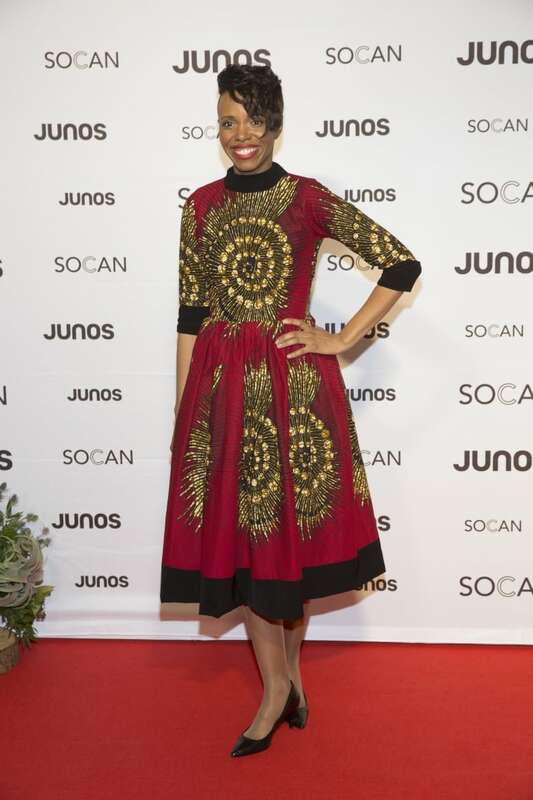 This annual event honours and celebrates Black artists including filmmaker and actress Fabienne Colas and alternative arts educator Nancy Oliver-MacKenzie. In 1968, the Congress of Black Writers brought together thinkers such as Walter Rodney and Rosie Douglas. This event celebrates that historic occasion and will explore the way Black people continue to use their words and writing in the fight for justice. The Jamaica Association of Montreal hosts this tribute night featuring performances by Dan Fiyah Beats, Jason Valentino, Juliet Nelson and Mysta. Mandinka singer, griot, guitarist, ngoni player and percussionist Sekouba Bambino will perform with his orchestra. Presented by the Massimadi Foundation, this annual festival features film screenings, open mics and cocktail receptions. A conference day devoted to the stories of inspiring Black women. Highlights include a talk from playwright Trey Anthony and a tribute to Aretha Franklin by Kim Richardson. The event will also host a marketplace featuring women-led companies. From playwright Trey Anthony, How Black Mothers Say I Love You is the story of Daphne, a woman who arrives to Canada from Jamaica. Dreaming of a better life, she is confronted by the harsh realities that come with separation and reconciliation. A theatrical reimagining of the night before Martin Luther King Jr.'s assassination finds the Civil Rights leader in his hotel room, exhausted and confronted by a maid with strong political perspectives. Written by Katori Hall. This photo series by Yuri Dojc features the descendants of people who escaped slavery and arrived in Canada via the Underground Railroad. The City of Halifax destroyed the Black community of Africville in the '60s. 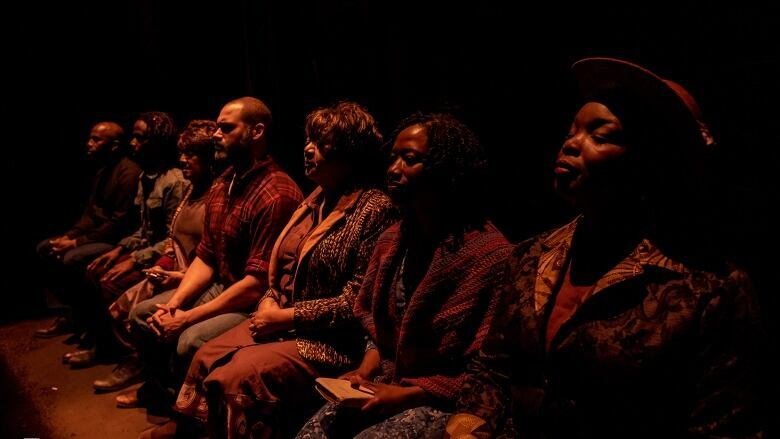 This award-winning play, presented by Voices Black Theatre Ensemble, tells the stories of the people who were displaced. Haitian-born storyteller Joujou Turenne tells the story of Nelson Mandela's activism, incarceration and journey to freedom. Presented in French, the show features music and song. Juno-winner Kellylee Evans has traversed the genres of jazz, R&B and pop, and she'll bring all of those influences into her performance. The Canadian Film Institute presents the fourth edition of this film festival with selections representing various regions of the continent. Highlights include I Am Not a Witch from Zambia and 76 from Nigeria. The 20th anniversary edition of this event will feature local African fashion, a performance by The Aces of Africa band, live painting and more. A sonic deep dive into the sounds of Black music, from spirituals to contemporary jazz. 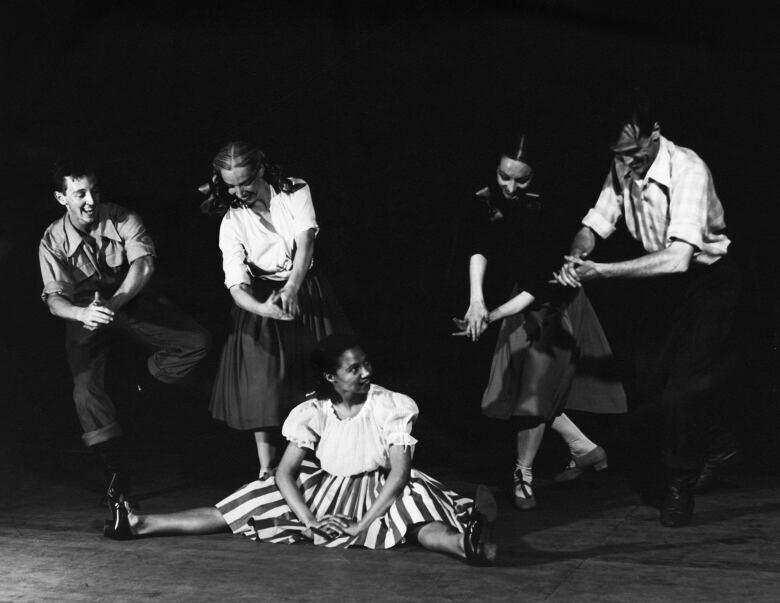 An exhibition about Black representation in Canadian dance. Curated by Seika Boye and presented by the Progress Festival, the show puts the spotlight on Black performers such as Leonard Gibson, Ola Skanks and Ethel Bruneau. British performer Selina Thompson brings her critically acclaimed production to the Progress Festival. 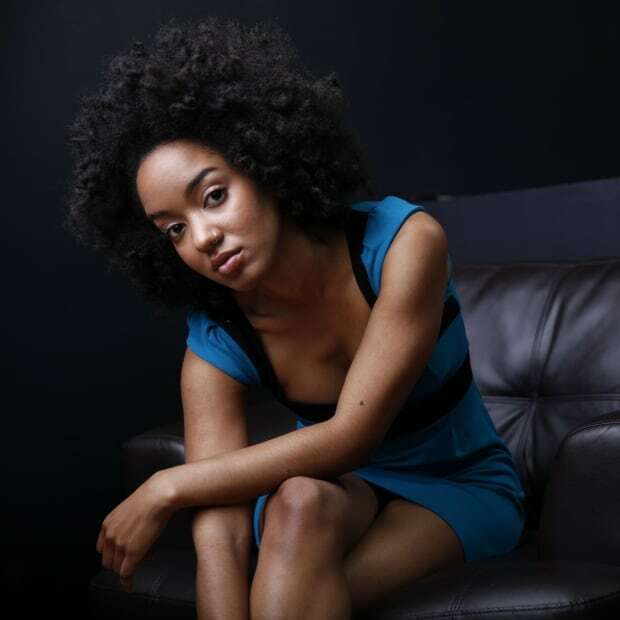 In the show, she invites audiences to join her on a diasporic journey inspired by her own travels across ancestral memories and the Atlantic Ocean. The Kuumba festival features an array of events including a conversation with actor Dominique Jackson, the Black Liberation Ball and an evening with playwright Trey Anthony. Wedge Curatorial Projects presents a comprehensive exploration of Black love and the various ways it manifests in community, partnerships, blood and chosen family. Curated by Emilie Croning, this exhibition features work by Jah Grey, Jamila Nortiz Reyes, Jeremy Rodney-Hall and more. The legendary dance company returns to Toronto with new and classic works choreographed by Talley Beatty, Robert Battle and Alvin Ailey and featuring the music of Earth, Wind and Fire, John Coltrane and Ella Fitzgerald. 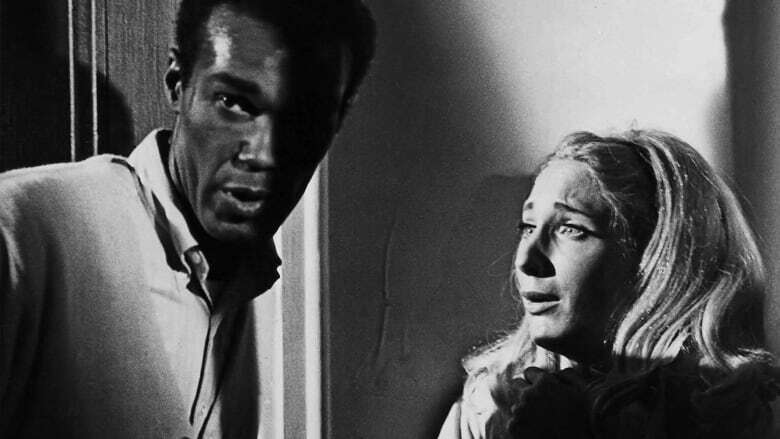 A special screening of the new documentary Horror Noire is accompanied by an onstage conversation with the executive producers about the history of Blackness in horror films. To launch Black Future Month, b current performing arts presents an intimate conversation with Maxine Bailey, former Vice-President of Advancement at the Toronto International Film Festival. A conversation about the ways Black and Indigenous futurisms connect and diverge in the work of visual artists, writers and scholars. This tribute to the late great writer Austin Clarke features poetry from George Elliott Clarke, Bänoo Zan and Zalika Reid-Benta. They'll be accompanied by jazz guitarist Leonard "Sugar Plum" Croxen. 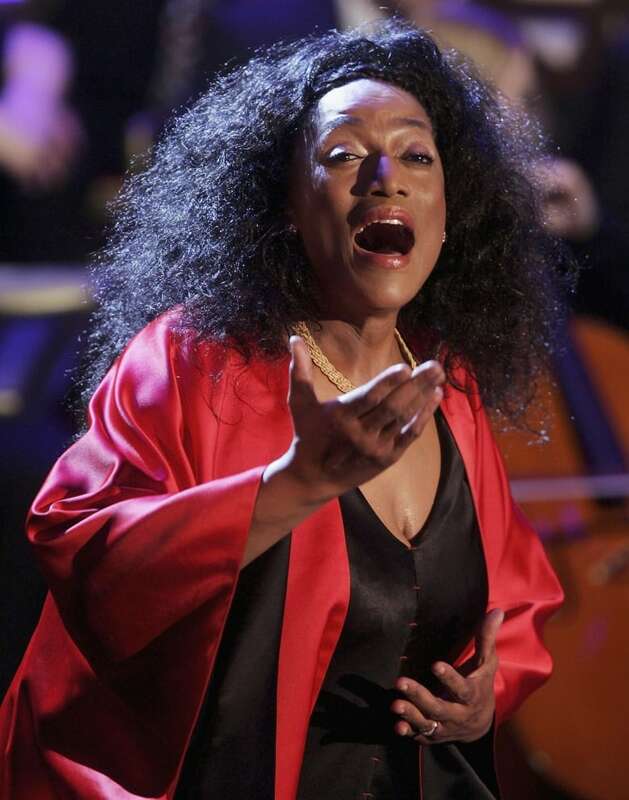 Opera legend Jessye Norman is honoured as the 12th recipient of the Glenn Gould Prize. At this event, she'll sit down with Canadian Opera Company General Director Alexander Neef to discuss her career. An evening of storytelling presented by Historica Canada and featuring novelist Esi Edugyan, theatre director Mumbi Tindyebwa Otu, spoken word artist MayaSpoken and more. An in-depth discussion on a historic year in Toronto hip hop. Look forward to hearing music from the era. Del Cowie moderates a conversation with rappers Choclair, Saukrates, Mathematik and more. 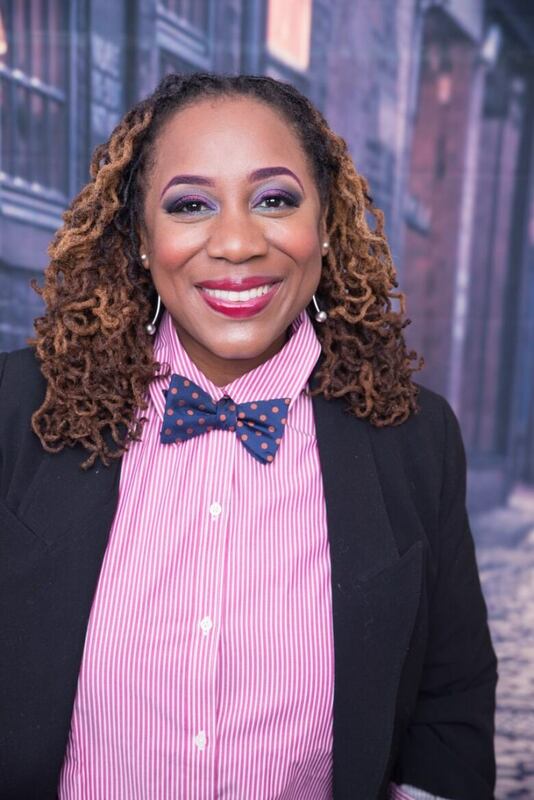 The annual festival is back and includes a tribute and special conversation with #MeToo founder Tarana Burke. Film programming highlights include Ellen: The Ellen Pakkies Story and Dead Women Walking. Join the Toronto Kiki Ballroom Alliance as they celebrate the conclusion of their six-week vogue workshop with a ball. Angie Thomas will be live onstage with me to discuss her highly anticipated new novel On The Come Up and will also be signing books. The world tour of this film by Frances-Anne Solomon begins with a screening, talk-back and after-party. The movie depicts the life of Ulric Cross. An annual celebration of Black film and Black filmmakers across North America. This year's edition features a keynote from Ella Cooper and films such as The Watermelon Woman and Brown Girl Begins. Presented by Chinook Series, this multidisciplinary arts festival creates space for Edmonton's Black artists to be put front and centre. Featuring theatre, poetry, music and more. An annual showcase of African and Caribbean-inspired fashion. Programming includes a mixer, the runway show and an after-party. Presented by the Alberta Council of Women Shelters, actor, activist and memoirist Terry Crews discusses his ideas on modern manhood. A collective of dancers, actors and choreographers from across Calgary come together to present a whirlwind tour of genres including Afro-Caribbean, capoeira, hip hop, jazz, samba, step and tap dance. Makambe K. Simamba is the writer and performer of this autobiographical tale. The play follows a young woman from Zambia. Abused as a child, she returns to her homeland seeking the justice she was denied as a girl. A cabaret of resistance that puts the ideas, concerns, dreams, histories and hopes of Black women and queer Black people front and centre. Curated by Mel Vee. A film series that showcases contemporary and classic movies by and about Black people. 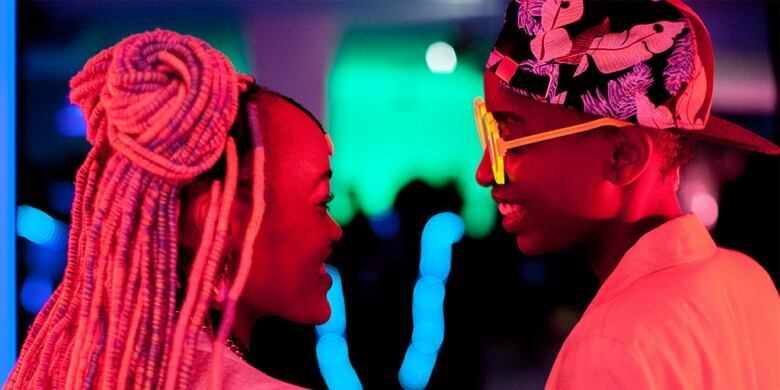 This year's lineup includes the animated films Kirikou and the Sorceress, the Kenyan queer romance Rafiki and the concert documentary Jimi Hendrix-Electric Church. A night of storytelling that provides space for Black female writers. Featuring Chantal Gibson, Chelene Knight, Juliane Okot Bitek and Whitney French. A celebration of fashion and art that brings together African designers from across the country. A multimedia celebration of pioneering poet, educator and advocate Gwendolyn Brooks. Through puppetry, shadow play, video projection and a live band, her story will be brought to the stage by Chicago's Manual Cinema. Acclaimed best-selling author Zadie Smith joins Jael Richardson on stage to discuss her body of work, including her latest collection of essays, Feel Free. Artist Chantal Gibson reworks historical texts with a sewing needle and Black thread to consider and question whose voices we get to read and how we read them. On February 19, Gibson will also launch her book of poetry at the gallery. Created by David di Giovanni and performer Amanda Cordner, this solo show explores themes of Blackness, oppression and what it means to be othered.